Now in its 5th Edition, The Metric Handbook is a major handbook of planning and design information for architects and architecture students. Covering basic design data for all the major building types, it is the ideal starting point for any project. For each building type, the book gives the basic design requirements and all the principal dimensional data, and succinct guidance on how to use the information and what regulations the designer needs to be aware of. Acknowledging the challenges created by urbanisation coupled the uncertainty of changing weather patterns, Baca Architects were asked to add a new chapter – Flood Aware Design. The chapter introduces the concept of flood risk introducing the sources of flooding, probability and consequence. It then sets out guiding principles of how to plan for flood risk, firstly through considered urban design and landscaping and then considerations for designing buildings for flood risk. 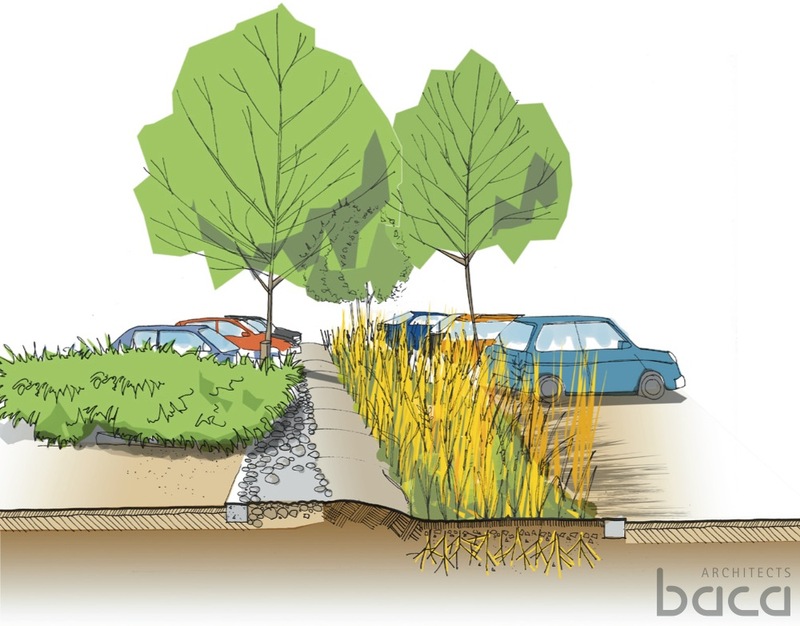 Sustainable Urban Drainage (SUDS) techniques are outlined alongside urban and building case studies to provide a concise introduction to flooding. The Metric Handbook provides an invaluable resource for solving everyday design and planning problems.